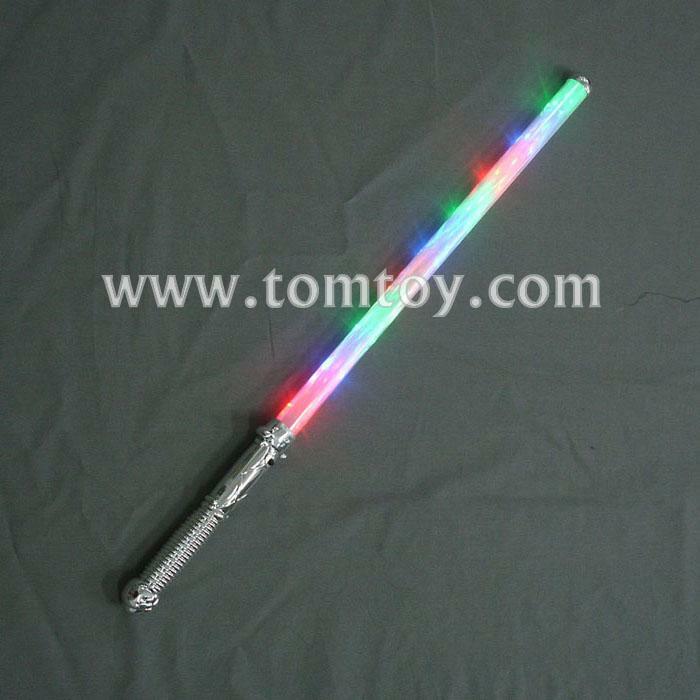 1.Saber Sword's safe "blade" is a beautiful beam of multicolor lights and make great gifts & party favors. 2.Remove the pull tab & press the button on handle to acivate the sword . Choose from 3 settings: fast flash, slower alternating lights, and a multi-function "color splash". 3.Dimensions: Height: 27.50 in. Width: 1.75 in. 5.Include 3 replaceable AA Batteries and Ages 5 & up!